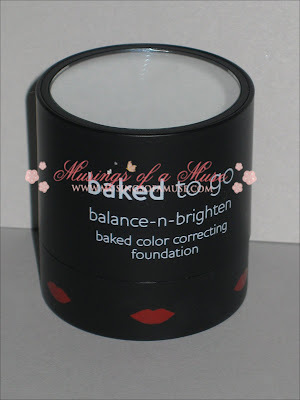 Several days ago the Muse was ohh’ing and ahh’ing over the cuteness that is Laura Geller Baked To Go Balance N Brighten Foundation. It was so tiny and so cute I couldn’t resist snagging one for myself. Sure am happy I did check out why after the jump! The Muse’s last experience with Laura Geller wasn’t particularly great. She makes an incredible line of products but for some reason I’m always pushing them to the back burner after trying a powder out a year or two ago and finding it very chalky. The chalky episode prevented me from indulging in anything else ever after that. When I seen the Laura Geller Baked To Go Balance N Brighten Foundation I loved the packaging so much (and the price, hello $24 bucks) that I decided to indulge. 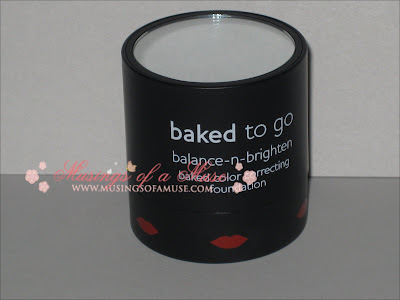 Baked to Go is simply a smaller version of Laura Geller’s popular Balance N Brighten Foundation (this happens to be the product that I experienced chalky bliss with). Count me scared to try this but I couldn’t resist. I’m glad I did purchase it as it’s rather fabulous and all the promises of lightening, brightening, and erasing dullness are all true. The formula of the powder is mineral oil and paraben-free which is always a plus for those on ingredient watch. 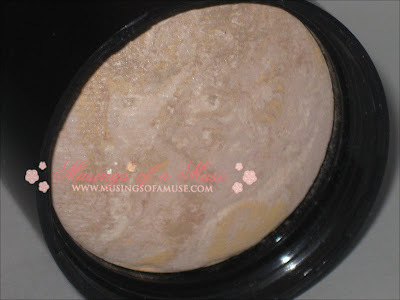 The powder creates a super flawless even coverage that brightens up my skin and removes dullness. 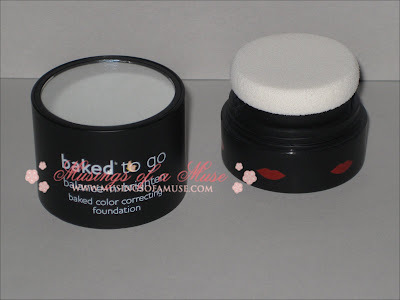 It’s funky how they designed the packaging as the powder is just a mini baked powder slapped into a spring-fed case which has a removable sponge applicator. 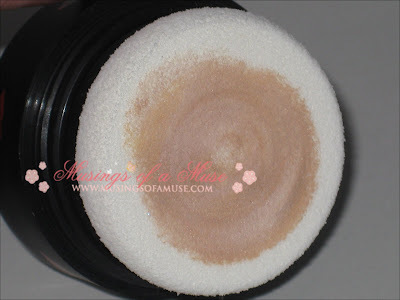 Twist open and plenty of product is distributed on the brush so you can easily blend onto face. 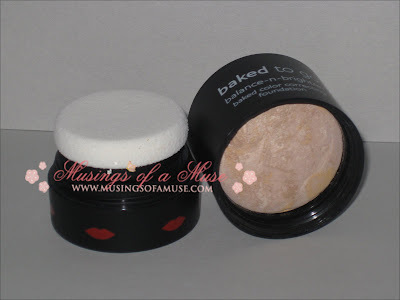 The product is plenty pigmented that one twist should give you plenty of coverage. Indeed, as promised it works great as a foundation but I prefer it as a finishing powder or a touch up powder through out the day simply due to it’s wear. It needs a touch up within 2-3 hours of application so I really can’t enjoy it as a foundation as it doesn’t last long enough without having to reapply in between. It’s rather ideal for toting to work and doing a fresh up with as it brightens up any signs of tired, dull skin and creates a nice flawless finish. It only comes in two shades so I’m unsure if I’d bother recommending it for anyone with skin darker than fair or medium fair. All in all I absolutely loved this. It’s incredibly travel friendly and does delightful things to my complexion! Big Muse Approval for purchase. Get yours at QVC by typing in item number A87995. Hi, Muse! I’m about to get the balance’n’brighten, and came here to see your reviews. I’m confused! 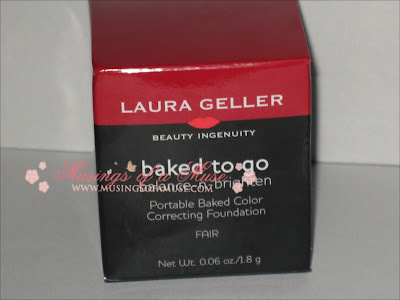 Do you like Laura Geller baked powders? Sometimes you say they’re chalky, sometimes you say they’re brightening… I don’t get it. Well, maybe you changed your mind about them at some point. I’m lost. What do you thing of them? how does this compare to philosophy’s Supernatural Airbrushed Canvas SPF 15	? hi nancy it’s two very different products so you can’t really compare the two? 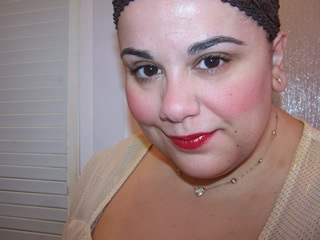 airbrushed is a loose powder and this is pressed plus airbrushed in a mineral…both are really different products.